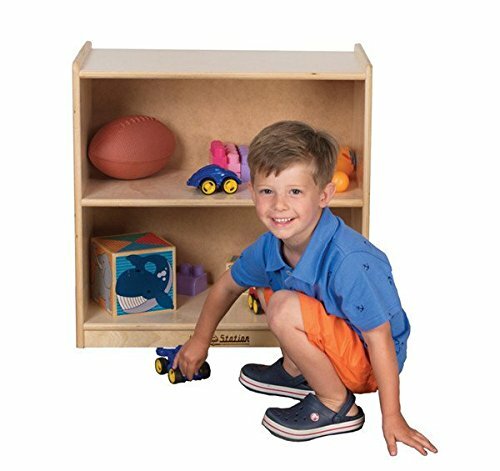 Kids' Station 24'' Mini Storage, 24 1/4''w X 13 1/4''d X 24''h by Kids' Station by Peffer Cabinets at Love and Learn Preschool. MPN: S242402BIR. Hurry! Limited time offer. Offer valid only while supplies last. This handy little unit will fit just about anywhere and provides an affordable solution for those areas that need a little help with organization. This handy little unit will fit just about anywhere and provides an affordable solution for those areas that need a little help with organization. 24"L x 13"D x 24"H. PefferTM storage cabinets are constructed of real 11 ply Baltic Birch plywood. These cabinets ship fully assembled and are the best value for your storage needs. Lifetime warranty!